This week wasn't too bad! 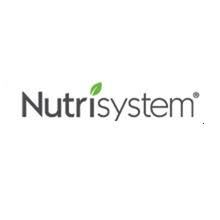 I was pretty guilty about last week, and how I cheated, and didn't follow through with my Nutrisystem. So this week I followed almost perfectly, and now I am down 1.6lbs for this week (Bringing my total, back to -48.4) I am going to hit that -50 soon! I have been saying I would hit it for some time now, but I mean it! I am so determined to lose it! I have had so many people ask, or mention something about my weight loss, and I'm tired of say I've lost 45lbs.. I need to get that 50! So I am on a mission right now! I had some really delicious meals this week (I had only my favorites!) to help keep me motivated. One of my favorites from the beginning! This delicious omelet is filled with yummy veggies, and a cheesy sauce! I love it! The beef is so tender, and there is a sauce on top of it all, that is to die for! It has a little zang to it, but that makes it so much more flavorful :)! Seasoned Perfectly! I could eat these every day! Yum! Overall, I had a pretty decent week.. And soon.. very soon, I am going to hit that -50! Keep up the great work Amanda! I am stunned to hear how you did this all on Nutrisystem. I would love to try it but cant afford it now. I have about 30 lbs to lose. I have seen little snip it's of what you look like now. YOU look AMAZING !